The Byron Nelson Classic is underway in their opening round from TPC Four Seasons in Irving, Texas. This entry was posted in PGA Tour Betting Odds and tagged byron nelson classic 3 ball odds, byron nelson classic betting odds, byron nelson classic tee times on May 17, 2012 by Bryan. Tiger Woods did what he needed to do on Friday at the Players Championship at TPC Sawgrass, carding a 4-under par round of 68 to make the cut. 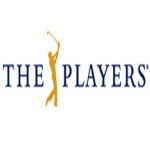 This entry was posted in PGA Tour Betting Odds and tagged players championship betting odds, players championship odds, revised players championship odds on May 12, 2012 by Bryan. Tiger Woods and the rest of us had something in common on Saturday afternoon when it comes to the Wells Fargo Championship. We were watching it from the couch. This entry was posted in News, PGA Tour Betting Odds and tagged rory mcilroy, webb simpson, wells fargo championship odds on May 6, 2012 by Bryan. Tiger and Rory are back at it on the PGA Tour today for the first time since the Masters. In fact, several notable players are making their return to the Tour since the season’s first Major Championship. This entry was posted in PGA Tour Betting Odds and tagged tiger woods vs rory mcilroy, wachovia championship 3 ball odds, wachovia championship betting odds on May 3, 2012 by Bryan. A couple of days ago when Jason Dufner held the 36-hole lead at the Zurich Classic of New Orleans, I basically said that Dufner has made a habit of playing well on Thursday and Friday and then fading into the weekend. The evidence was there to support my theory. This entry was posted in News and tagged jason dufner, pga tour betting odds, pga tour schedule, quail hollow, wells fargo championship on April 30, 2012 by Bryan. 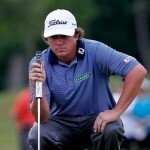 Jason Dufner has been a name that has been at or near the top of many leaderboards during the 2012 PGA Tour Season, and that is exactly where he finds himself at the Zurich Classic of New Orleans after two rounds. This entry was posted in PGA Tour Betting Odds and tagged luke donald, pga tour betting odds, zurich classic odds on April 28, 2012 by Bryan. It has been a wild month for Bubba Watson. Just a week after adopting a baby boy, he goes to Augusta and wins the Masters for his first-career Major Championship. 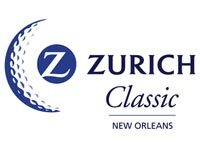 This entry was posted in PGA Tour Betting Odds and tagged bubba watson, luke donald, pga tour betting odds, pga tour weekly odds, zurich classic betting odds, zurich classic of new orleans odds on April 25, 2012 by Bryan. The 2012 British Open will be held at Royal Lytham & St Annes Golf Club in Lancashire beginning on July 19th. This entry was posted in PGA Tour Betting Odds and tagged 2012 british open betting odds, british open betting odds on April 22, 2012 by Bryan. Carl Petersson grabbed the 54-hole lead at the 2012 RBC Heritage at Harbour Town in Hilton Head, chasing down Colt Knost for a one-shot margin heading into the final round on Sunday. Peterson fired a five-under par round of 66 on Saturday afternoon to turn a two-shot deficit into a one-shot lead. 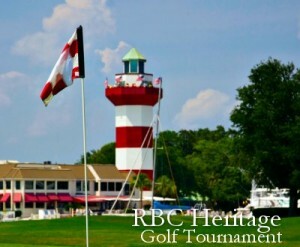 This entry was posted in PGA Tour Betting Odds and tagged rbc heritage 2 ball odds, rbc heritage betting odds, rbc heritage sunday pairings on April 15, 2012 by Bryan.